Brian G. Sewell, Founder of Rockwell Capital; a family office committed to educating investors about cryptocurrency, and Rockwell Trades, below explains the intricacies of cryptocurrencies, shares the latest SEC regulatory updates, and provides expert insight into the future of cryptocurrencies across the globe. The August 6th SEC decision to postpone a ruling on whether to approve the SolidX Bitcoin Shares ETF for trading on The Chicago Board Options Exchange is a good sign. Given previous SEC statements, the postponement appears to suggest that the U.S. regulatory agency wants to issue a well-thought-out approval ruling that protects cryptocurrency investors and nurtures innovators. I agree with the CBOE that “investors are better served by products traded on a regulated securities market and protected by robust securities laws.” And I would rather see the SEC make a methodical decision to approve a cryptocurrency ETF, with thoughtful guidelines than a rash decision to reject one. Granted, no more than 3.5% of households worldwide have adopted cryptocurrency as a payment method. But as developers and regulators resolve the following key issues, global cryptocurrency adoption will likely grow — both as a consumer payment method, and through business-to-business integration, streamlining a variety of operations in the private and public sectors. The prospect of more widespread adoption explains why I think cryptocurrencies may continue to outperform other investment assets in the long term and improve how the world does business. Though the SEC may not reach a final decision until next year on the proposed listing of SolidX Bitcoin Shares ETF, I think the agency will eventually approve what many experts say represents the best proposal for a cryptocurrency ETF. The proposal — which requires a minimum investment of 25 Bitcoins, or USD 165,000 assuming a Bitcoin price of $6,500 — seems to meet the SEC’s criteria on valuation, liquidity, fraud protection/custody, and potential manipulation. By boosting institutional investment, SEC approval would represent another milestone in the validation of cryptocurrencies. To reiterate, rising adoption could benefit the U.S. financial system and other financial systems worldwide, because cryptocurrency promises to create significant financial savings and societal benefits — by streamlining how the world transacts for goods and services, updates mutual ledgers, executes contracts, and accesses records. Beyond a potential Bitcoin ETF, demand is mounting for a comprehensive regulatory framework that protects consumers while nurturing innovation. Because the dollar remains the leading global fiat currency, institutional investors across the globe are especially watching for what framework of rules and policing U.S. regulators develop. Although many institutional investors are assessing the risk/reward proposition of cryptocurrency investments, that doesn’t mean they’re ready to invest. Many such endowments, pension funds, and corporate investors are awaiting U.S. regulatory guidance and protections to honor their fiduciary duties. How, if at all, for example, will exchanges be required to implement systems and procedures to prevent hacks and otherwise protect or compensate investors from cyber attacks? Though there’s mounting pressure on regulators to act, cryptocurrency regulation that both protects consumers and nurtures innovation requires a nuanced set of rules, a sophisticated arsenal of policing tools, sound protocols, and well-trained professionals. Developing such a unique strategy takes time, and may involve some stumbles. But I think U.S. regulators will eventually succeed in developing a comprehensive and balanced regulatory framework for cryptocurrency. If institutions become more confident that regulations can help them meet their fiduciary duties, even small allocations from reputable endowments, pensions, and corporations could unleash a new wave of investment in cryptocurrencies. Bitcoin and other cryptocurrencies are still developing the capacity to function at a mass scale, which will require processing tens of thousands of transactions per second. But technology such as Plasma, built on Ethereum, and the Lightning Network, a second layer payment protocol compatible with Bitcoin, are being tested, which could enable cryptocurrencies to execute faster, cheaper payments and settlements than any other payment method. Though developing applications that bring cryptocurrencies such as Bitcoin and Ethereum to scale may not happen overnight, I think sooner or later; developers will get it right. Making cryptocurrency scalable would probably unleash an explosion of new applications. That would boost adoption by allowing consumers and businesses to more easily take advantage of cryptocurrency by seamlessly integrating it with debit and credit payment systems – again, to execute transactions, update mutual ledgers, execute contracts, and access records. Such financial activities would likely happen more quickly, cheaply, and efficiently than ever because there would be no banking intermediary needed to validate the transaction and take a cut of the fees. This could improve the cost and efficiency of commerce – between businesses, between businesses and consumers, between governments and consumers, between nonprofits and consumers, and in every combination thereof. The seeds for this transformation of commerce have been planted, and like the internet before it, can innovate in ways we can’t fully anticipate. 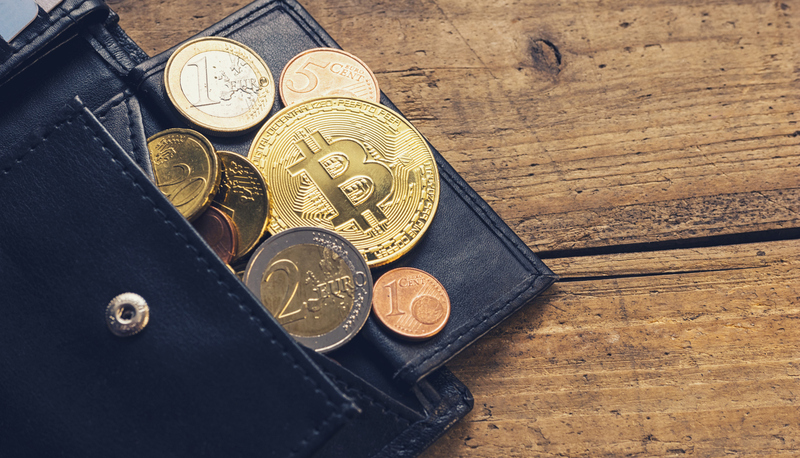 At its current technological stage, use of cryptocurrency adoption as a payment method could grow fastest in emerging markets, especially those without a secure, reliable banking infrastructure. Many consumers in such regions have a strong incentive to transact in cryptocurrency — either because their country’s current banking payment system is inefficient and unreliable, and they lack a bank account altogether. Globally, 1.7 billion adults remain unbanked. Two-Thirds of them own a mobile phone that could help them use cryptocurrency to transact and access other blockchain-based financial services. As more applications launch in the developing world to facilitate the use of cryptocurrencies to buy and sell goods and services at lower cost and in expanded markets — and more young people receptive to such new technologies come of age — cryptocurrency adoption could well rise exponentially. High volatility is inherent in the investment value of this nascent technology, due to factors including technological setbacks and breakthroughs, the impact of pundits, the uneven pace of adoption, and regulatory uncertainty. Bitcoin, for example, generated a four-year annualized return as of January 31st, 2018 up 393.8%, a one-year 2017 performance up 1,318% — and year-to-date, down 52.1%. Bitcoin has experienced even larger percentage drops in the past, before resuming an upward trajectory. I believe roughly thirty percent of Bitcoin investors over the past half year are speculators since the cryptocurrency has dropped on the negative news by as much as a third. In my view, Bitcoin and other cryptocurrencies will experience many more bubbles and bursts, in part, fueled by speculators, who buy on greed and sell on fear. But as the dot-com era underscores, the bursting of an investment bubble may signal both a crash and the dawn of a new era. While irrational investments in internet technology in the 1990’s fueled the dotcom bust, some well-run companies survived and led the next phase of the internet revolution. Similarly, despite periodic price crashes, I believe a small group of cryptocurrencies and other blockchain applications, including Bitcoin, will become integrated into our daily lives, both behind the scenes and in daily commerce. Although “irrational exuberance” will continue to impact the price of cryptocurrencies, this disruptive technology represents the future not only of money but of how the world will do business.